Step it up! This crispy flash fried squid with a kickin' smoked chilli aioli, will transport your guests to Southern Cali where the sun constantly shines, the waves crash on the beach and you burn the hell out of your feet on scorching sand. Clean, trim and cut into pieces, score. Combine flour, KNORR Aromat and pepper. Dip squid into mix and fry until cooked. 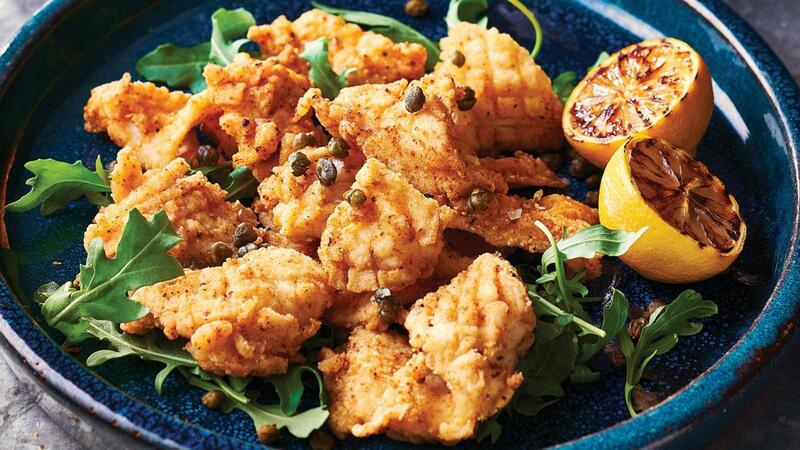 Quickly fry capers. In a bowl, combine HELLMANN'S Real Aioli and KNORR Mixed Chilli Puree. Serve with squid, rocket and caramelised lemons.